Make a simple statement in pink with this sleek band ring. 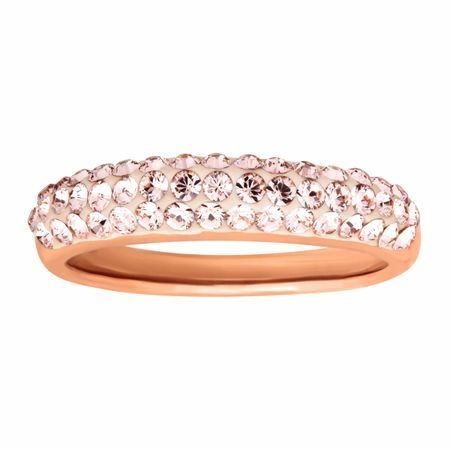 Round-cut Vintage Rose Swarovski crystals line a setting of 14K rose gold over sterling silver. Ring face measures 3/16 inches in width.